This week, the spotlight is on Sacred Duty, the blog of (mostly) Theck, who is the mathy brains behind much of today’s Paladin tank theorycrafting. 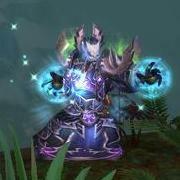 Obviously, Sacred Duty is a great resource for Protection Paladins, but the reason why we decided to feature it in our WoW Spotlight this week is because it is a great resource, period. Humor and reflections on the state of the game: Flex and LFR analysis, the Timeless Isle on PvP servers, BlizzCon wrap-ups (part 1 - part 2).